The world’s longest running play, now celebrating its Diamond Anniversary in its 60th year. A group of strangers is stranded in a boarding house during a snowstorm, one of whom is a murderer. To get to the rationale of the murderer’s pattern, the policeman probes the background of everyone present, and rattles a lot of skeletons. Another famous Agatha Christie switch finish! Chalk up another superb intrigue for the foremost mystery writer of her time. 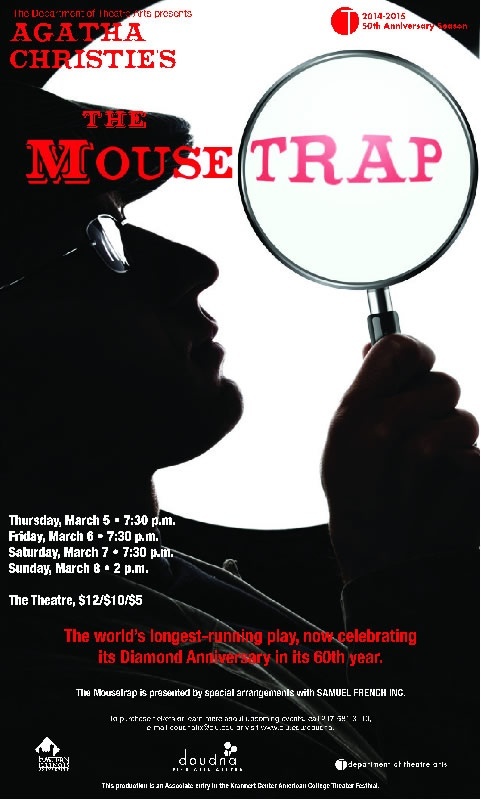 The Mousetrap is presented by special arrangements with SAMUEL FRENCH, INC.
To purchase tickets or to find out more, got to the Doudna website.